Newage Testing Instruments provides an assortment of accessories for your C.A.M.S. Microhardness Testing Systems. The following lists display the most common accessories available. 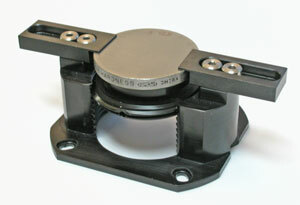 Camera mount, over-the-eyepiece (Type M). Camera adapter ring, 25.1mm (Matsuzawa). Camera adapter for tests with ports (HMV). Slender sample attachment, type 1. Slender sample attachment, type 2. Thin sample attachment, type 1. Thin sample attachment, type 2. Thin sample attachment, type 3. Test block, Vickers, 300 gram 700 value. Test block, Knoop, 300 gram 700 value. Vibration isolation pads, set of four (4). Objective Lens, 40X, extra long working distance. NewLite LED Illumination System, for MT90 Series- USB powered. NewLite LED Illumination System, for MT90 Series - AC powered. Vibration isolation pads, set of six (6). Scope bulb replacement, Incandescent, threaded (Optem-style scope). Scope bulb replacement, Incandescent, bayonet-type (Optem & Leica scopes). Scope bulb replacement, Halogen (old style).